The Northfield Post Office is listed on the National Register of Historic Places and has anchored the southwest corner of Bridge Square for nearly eighty years. Its construction by the federal government generated controversy in the 1930s, and controversy arose again more recently when the United States Postal Service put it up for sale in an effort to cut costs. The town’s first female postmaster, Harriet T. Kinsley, was appointed on March 16, 1865, toward the end of the Civil War. From the post-Civil War years through the post World War I years, the post office moved among several downtown locations, including the Scriver Building (now the location of the Northfield Historical Society) and the MacKay Building at 314 Division Street. 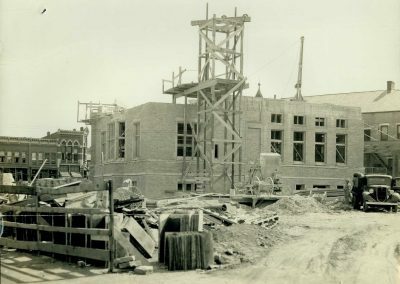 When the federal government declared its intention in 1930 to build a new facility, local businessmen advocated for a location on Bridge Square. A special act of Congress was required to hire an architect to design the building on the wedge-shaped piece of land instead of a typical rectangular one. To appease business owners on the city’s west side, the entrance was located on the building’s northwest corner. Several buildings were moved or cleared from the site to make way for the new building, including the McGuire Building, which was moved a few feet to the south along Water Street, and the Standard Oil Company filling station, which had been located at the corner of Water Street and Bridge Square. The brick and stone-trim facility cost about $88,000, and the site cost $31,000. 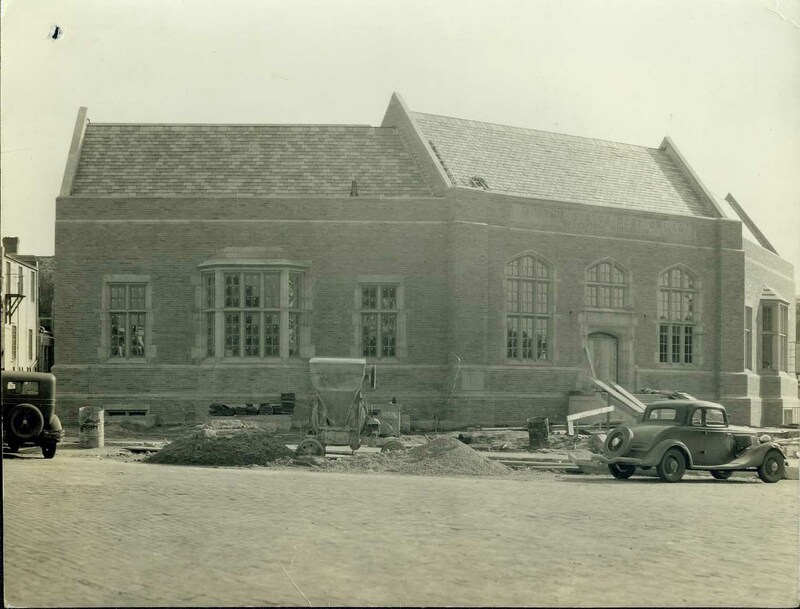 Nearly 1,500 people attended the building’s open house on October 30, 1936, and it opened for business on November 1, 1936. When postal officials announced in 2011 that they were putting the building up for sale, a local “Save the Post Office” group formed to oppose its closure. The building was taken off the market in 2014 after Congress declared a moratorium on the sale of historic post office properties across the country, pending further review. It is currently still in use as a post office, although the distribution of mail is handled in a building annex south of downtown. 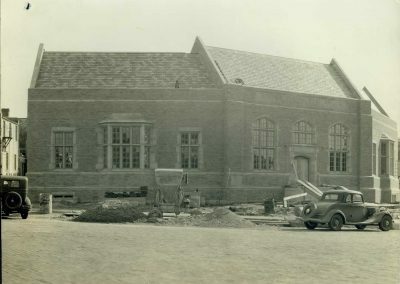 The Northfield Post Office during construction in 1936. 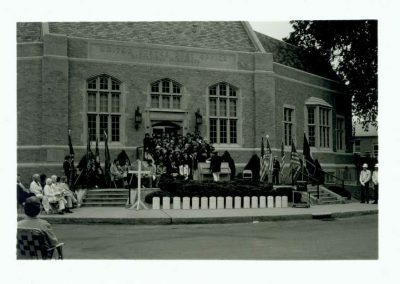 A Northfield band playing in front of the post office during a Memorial Day celebration. 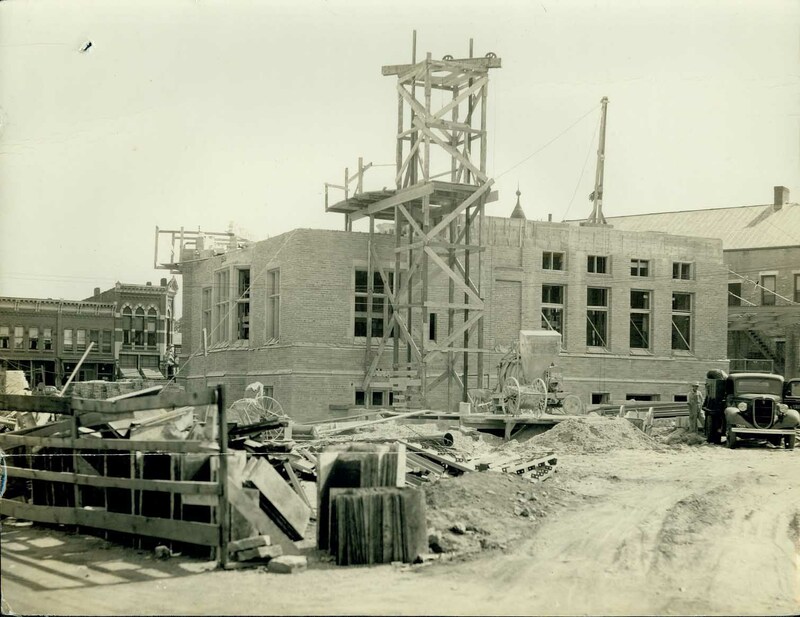 The Northfield Post Office being built in 1936.